Selecting a life insurance policy is an important step for planning ahead and taking care of the financial well-being of your family. But can you still get coverage if you aren’t a US citizen? In most cases, yes. There are very few instances where your citizenship status disqualifies you from coverage. The circumstances of your policy are different than those of current citizens, so there will be some more hoops to jump through, but there are plenty of providers who should be able to give you the coverage you need. Whether or not you’re going to have a simple time of getting life insurance depends on the type of ID you have. 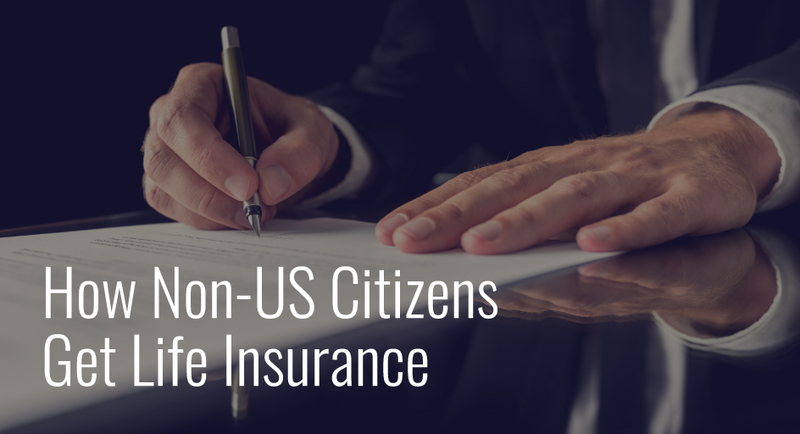 If you are a green card holder, you are considered a permanent U.S. resident, and you shouldn’t have any problems applying for any life insurance policy you want. The only additional step you will need to take is sending proof of your immigration status to the insurance company. Things start to get trickier if you hold a visa or a student visa. Visa card holders can be approved by many different carriers, but the companies have varying criteria for determining your residency. Most of these criteria are based on substantial presence and significant interest (more on that below). The group most likely to have problems qualifying for life insurance coverage is non-citizens who hold student visas. Most insurance companies are hesitant to approve policies because they know that the visa is only temporary. However, it isn’t impossible to get life insurance with a student visa. You just need to speak with your insurance agent to determine the best route to take. Substantial presence and significant interest are the two primary factors that insurance companies consider when visa card holders apply for a life insurance policy. To qualify under substantial presence in the United States, you typically need to have lived stateside for a minimum of one year. Many carriers require you to prove you have lived in the US for one or two years, and some require as many as five years. Ask your agent which carriers you best qualify with based on your time spent in the US. In order to qualify based on significant interest, you need to have a vested reason to remain in or frequent the US. You must prove to the insurance carrier that you own a sizeable amount of property or assets in the country, such as a home or business. Shopping for a great insurance policy within your budget can be difficult enough to begin with. If you are not a US citizen, qualifying for life insurance can present even more obstacles. Trust experienced independent agents, like our staff at Carnal-Roberts Agency, to find a variety of good carriers with policies you qualify for!